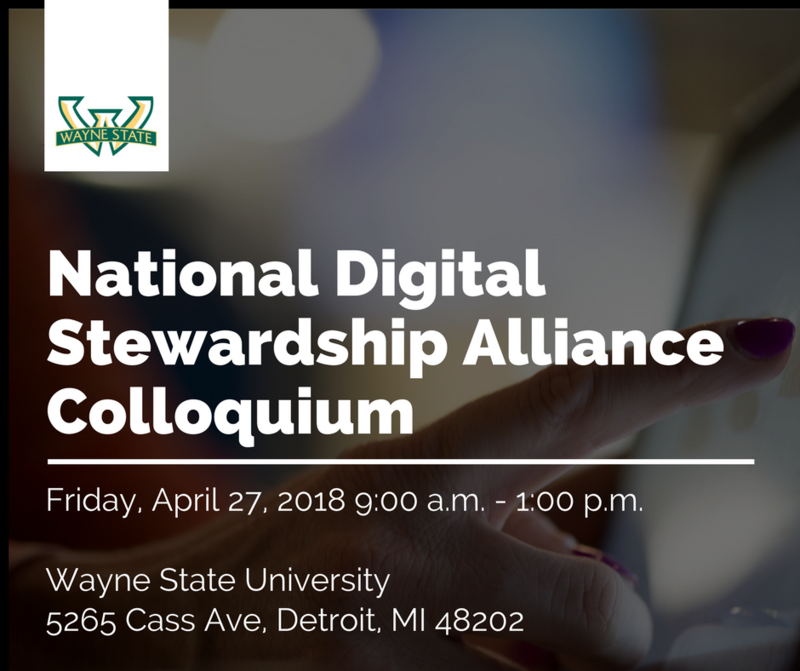 The Wayne State University National Digital Stewardship Alliance Student Chapter will be hosting a regional colloquium on April 27, 2018 from 9:00 am to 1:00 pm. The event brings together preservation professionals and students to share and discuss information on a variety of topics related to digital preservation. Participants can watch presentations in-person or virtually. To receive virtual access to the event, attendees must register and weblinks will be sent via email. All attendees are encouraged to register in advance, but walk-ins will be welcomed. More details and a tentative schedule can be found on the NDSA Student Chapter website.